The ultimate in snug poncho style, these cosy acrylic numbers have a built in scarf. Ideal for the chill of winter and for those cold festival nights. 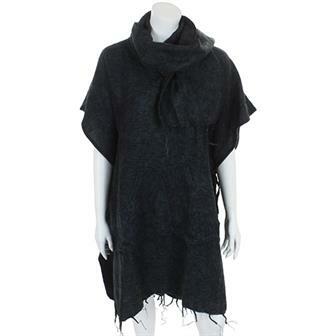 Lovely soft poncho hand made in Peru from a mix of alpaca and acrylic in a selection of earthy tones. Toasty and warm, these ponchos are perfect for chilly summer evenings. These lovely soft garments are hand made in Peru from a mix of alpaca and acrylic. 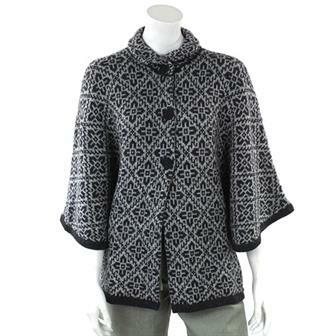 Each one has a button beneath the sleeve allowing it to be worn as either a poncho or a cape. With their warm high collars and front buttons they are wonderful to throw on during a chilly evening. 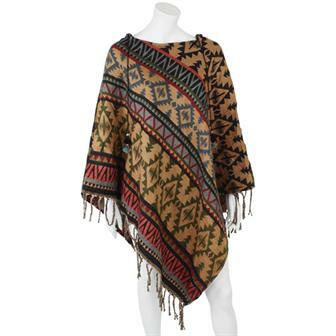 These snug Indian blanket ponchos come in a range of vibrant colours. They are made from a soft, fleecy material and they come with hoods for extra warmth and cosiness! They come in one size and in variable colours. If there is a particular colour you require, please leave special instructions and we will do our best. 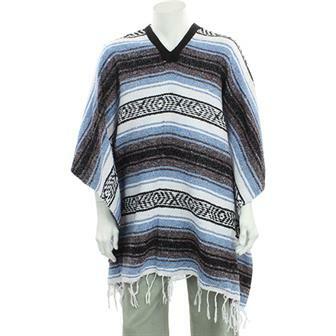 These 100% cotton ponchos are extremely soft and warm. Due to their versatile nature they can be worn over a coat or jumper but can also work as a stand alone coverup. They come in a variety of rich colours for any season. Each poncho has internal waist ties to help secure, alternatively you can just let it hang freely. Complete with wooden toggles and a tassled hem. Our beautiful handmade Indian ponchos are perfect for staying both stylish and warm this winter. With their loose fitting cut and soft acrylic fabric, each one is an excellent, no nonsense garment. 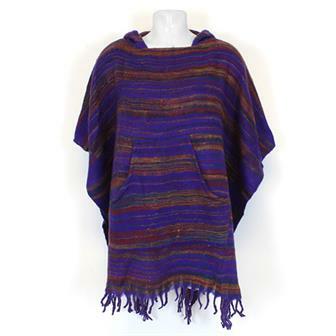 These beautiful ponchos are exceptionally warm and comfortable and are perfect for warming up over winter. Employing a level lower hem with eye catching tassle decoration, the ponchos come in a wide range of mixed colours and patterns. 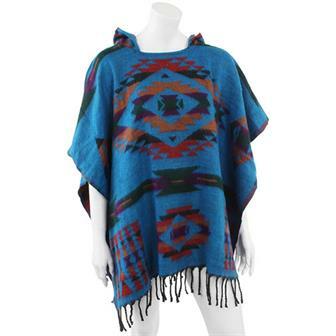 These fine ponchos are made from 100% acrylic for softness and warmth and feature an attractive tied pattern neckline with dangling tassles for decoration. Available in mixed colours and patterns, these beautiful items are perfect for chilly winter days! 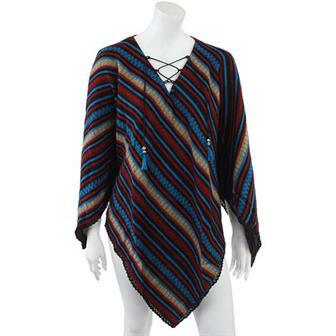 These ponchos are luxuriously soft and warm and they feature an eye catchingly bold zig zag pattern across the warm neck section and the fringed bottom. 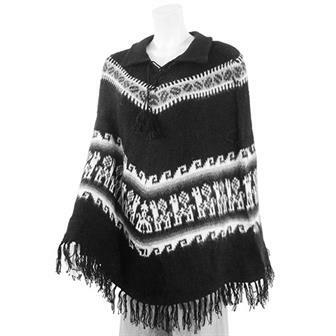 Made from the same material as our popular Falsa blankets, these fantastic ponchos not only look the part; they are also warm, hard wearing and 100% hecho en Mexico.